The government in the last phase of the French Revolution was known as The Directory. In 1799, 10 years after the beginning of the revolution, it ended. 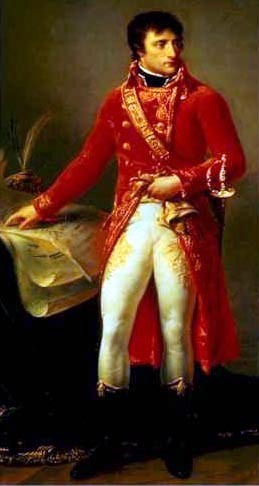 Because many prominent men, particularly Abbe Sieyes, felt that the Directory was failing, they invited the successful young General Napoleon to take power. He became part of a triumvirate, three consuls. The consulate had full power, and elections were ended. Napoleon assumed the position of First Consul and obtained near dictatorial powers. The Consulate made government in France more efficient and abolished most of the remnants of class and privilege. He created a meritocracy, advancing men in public service according to their ability, not on their birth. The feudal system was dead. Those who supported him and cooperated with him were rewarded. Those who he believed were a threat were ruthlessly eliminated.